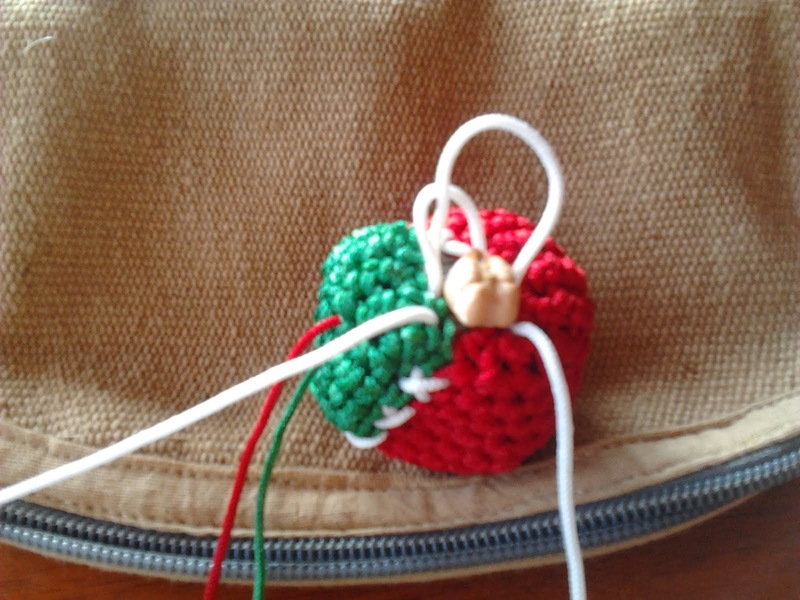 It's best to partially fill the ball before the connecting stitch. Just before the tie-off, you can stuff it tight one garbonzo bean at a time. Stuff it as tight as possible because everything loosens after being chucked via the almighty sling. We are not making tree doilies...these are meant to fly.